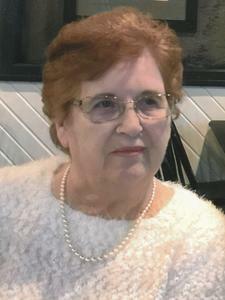 Jeannette Hahn, age 80, of Holland died Wednesday, September 5, 2018 at St. Mary’s Mercy Health. A beloved wife, mother and grandmother, Jeannette enjoyed attending her children’s activities throughout the years and teaching Sunday school. She would relax watching the boats and fisherman on Lake Macatawa. Jeannette liked baking, watching golf and professional bull riding. She loved her dogs Kali Kay and Finn. She was preceded in death by a grandson Jordan Smith in 1992. A funeral service will be held at 12:00 pm, Monday, September 10, 2018 at Dykstra Funeral Home – Downtown Chapel, 29 East Ninth Street in Holland. Rev. Robert Whinnen will be officiating. Burial will be in Restlawn Memorial Gardens.